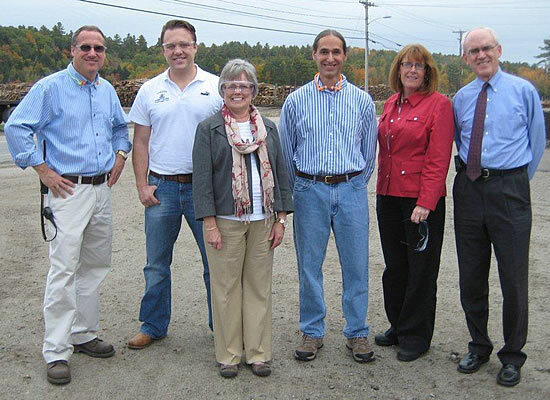 LIVERMORE FALLS, ME – October 3, 2012 – Local and state representatives interested in economic development in Maine visited PalletOne’s Livermore Falls facility today. The visitors, who were blown away by its size and scope, found the facility to be a success story for doing business in central Maine, and the PalletOne of Maine team enjoyed the opportunity to build better relationships with state and local officials. Before the tour began, the representatives watched the sales video detailed in the newspaper article. “The video was created to paint a picture of the facility and how it operates for current and prospective customers, many of whom are outside the state of Maine and don’t get a chance to visit the plant,” Isaacson explained. The representatives then had the opportunity to see the operations first hand during a plant tour, which included the sawmill, the pallet operation and the log yard. “They all commented several times on how impressive they found the operation to be, saying that it changed the way they thought about how pallets are manufactured,” Isaacson said. The visitors were impressed with how large the operation is, how many people it employs, the number of large companies the facility supplies, and how geographically spread out its customers are. They also expressed admiration for the team’s industry knowledge and the extent to which they have automated such a labor-intensive process. Even the culture of the facility made an impact on the representatives, who noted the positive, team-oriented environment and the team’s efforts towards continuous improvement. As representatives of the region, the visitors work to promote economic growth in the area and showcase what a great place central Maine is to live, work, and do business. 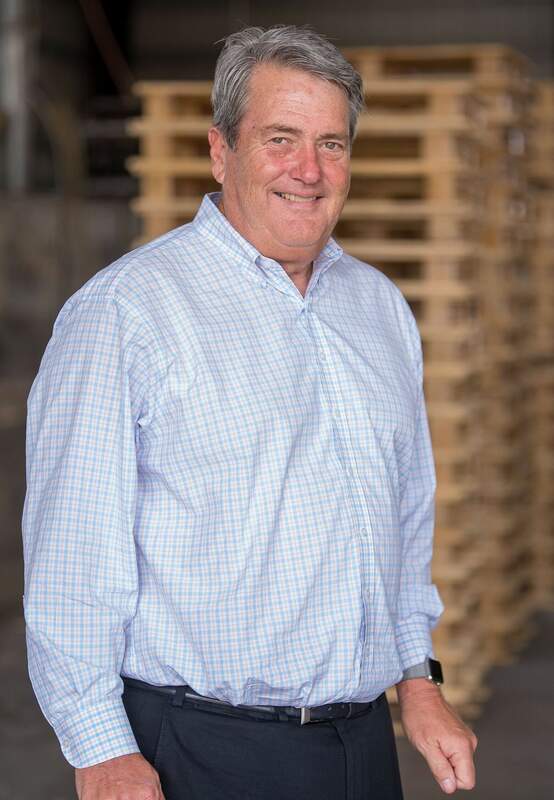 “They felt that PalletOne is a great example of the kind of success businesses can have in the region, so they offered to help showcase the company and build its community profile, inviting us to attend area development meetings and events,” Isaacson said. The representatives also offered their assistance in helping to grow the business in any way possible, offering to help the facility get in contact with other Maine companies and asking about issues the state can address to help them grow their business. “It was very beneficial to have four representatives from the state see, understand, and appreciate the great work our team does every day and be willing to help the business grow,” Isaacson added.